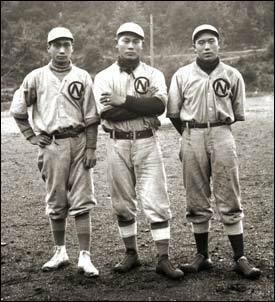 Players are believed to be members of the Royston Lumber Company team of the late 1920s, likely 1928. 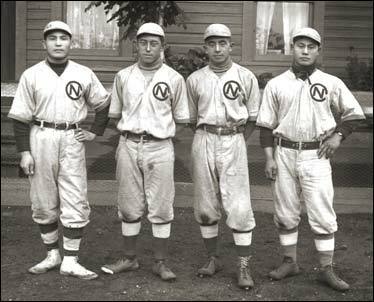 Left fo right - Hatano, Dr. Toshio Kajiyama, Hajimeka Yama, Masao Tanaka. 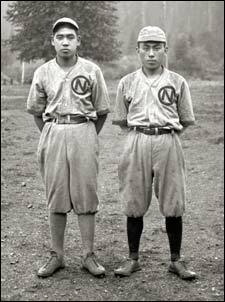 Right - Toyo Maeda (catcher) and Mr. Motomochi (batter). 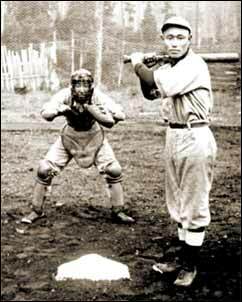 Believed to be from 1928.